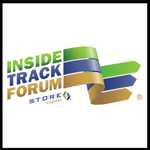 STORE Capital’s second annual Inside Track Forum dates have been announced. Following up on our successful inaugural conference, the 2018 event will be scheduled for January 30th – February 1st at the Westin Kierland in Scottsdale, Arizona. Visit our website for more information including a list of speakers, meeting topics, and video highlights from our 2017 conference.